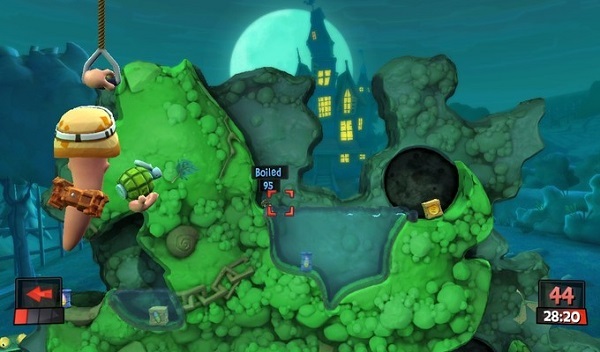 Classic Worms fun with a range of missions and lots of crazy weaponry. Puzzle Mode adds extra enjoyment and longevity to the game. Worms Revolution Extreme brings the long-running artillery strategy franchise to the Playstation Vita, repackaging last year’s release of Worms Revolution on console, and throwing in all the extra DLC mission packs in for free. As always, the goal is simple – pit your team of four worms against an opposing team, and use a vast array of weapons from shotguns and bazookas to bananas and exploding sheep to devastate the enemy forces. The Worms formula has changed little since the very first instalment in the series, and at its core, Worms Revolution Extreme is more of the same. The core gameplay of teams taking turn to launch strategic attacks at each other remains the same, and anyone who has ever so much as glanced at a Worms game before will immediately feel at home launching explosives at the enemy or calling down overpowered airstrikes. On the whole, it’s good fun, although it can also be a bit unforgiving – make a single mistake and you might find that within a single turn your superior worm force has suddenly been launched into a watery grave by a stray grenade. That’s not to say that there haven’t been some additions to spruce things up, however. The tactical value of the landscape itself has been spiced up with new ‘physics objects’ – loose objects which can be moved, blown up or sheltered behind as the need arises. Water has also been given an overhaul, with submersion in shallow pools now causing slow drowning instead of instant death, whilst new weapons such as the water bomb and water pistol let you wash the enemy away in a well-placed deluge. Even the worms themselves have been overhauled. 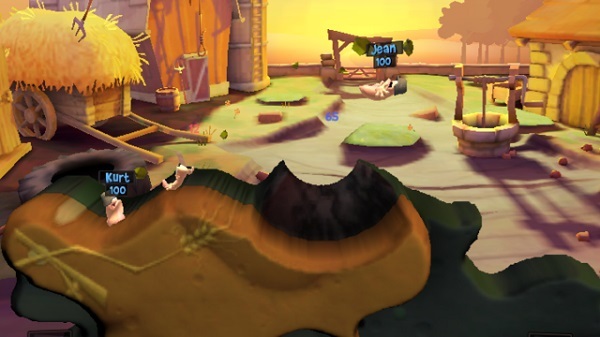 In what appears to be a Team Fortress inspired move, all worms are no longer equal – alongside the familiar Soldier worm, you can now deploy swift but weak Scouts, slow but powerful Heavies, and even Scientist worms, who heal the team every turn and increase the efficacy of physics objects. All these new mechanics are pretty easy to get to grips with, but if you’re a purist who wishes only to play Worms the way it has always been played, there is an option to switch them all off and revert to ‘Classic’ Mode. As well as a 32 mission single player campaign mode pitting you against the AI, Worms Revolution Extreme boasts several other play modes. Puzzle mode gives you a set objective and a limited number of items with which to achieve it. There are 20 missions in the core puzzle mode, with some additional more fiendish levels available in the included DLC packs. Naturally, there is also the option for local or online multiplayer against other humans, although the online servers aren’t exactly a hive of activity. In addition to all this, there are also plenty of options for customisation. As well as being able to choose your own worm formation from the different classes available, and set the strength of the AI, you can even tweak minor aspects of the game, such as a worm’s gravestone, its victory dance, and even its costume – including the option for comedy moustaches! 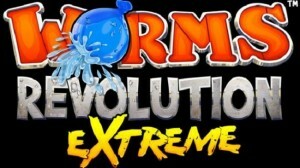 Visually, Worms Revolution Extreme goes for a 2.5D environment, with 2D movement in a 3D rendered environment. Graphics are adequate but not outstanding, whilst movement can often be slow and a little frustrating; jumps and flips can be hard to pull off accurately, whilst the decision to assign both movement and weapon aiming to the left analogue stick can make it difficult to position both your worm and your crosshairs correctly. Apparently, weapon aiming can also be controlled via the rear touchpad in some cases, but if so then this did not appear to be working correctly. Sound-wise, the game is much enlivened by some excellent tongue-in-cheek voiceover work, with comedian Matt Berry playing the role of a sardonic wildlife documentary maker with a love of sending worms to their death in battle. The Worms formula has changed little over the years, and whilst Worms Revolution Extreme does add some extra options to the mix, at its heart it’s still the same turn-based artillery strategy game it always was. 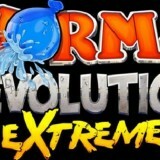 The fiddly controls and often unforgiving nature of the levels don’t lend themselves to long evenings spent just playing this game, but in short bursts, Worms Revolution Extreme will certainly divert and entertain.